This past fall, Master Rug Cleaner hosted a two-week rug tour of Iran. We were extremely fortunate to have Zollanvari, the largest producer of handmade rugs in Iran, sponsor our visit. The Zollanvari brothers, Reza and Hamid, opened their manufacturing facilities and traveled with our group to remote tribal villages where weaving is performed for an unforgettable experience. While safety concerned several people — considering the neighborhood around the country — once in Iran, we were very safe. The biggest danger of traveling in Iran is being overfed as Persians are very hospitable. 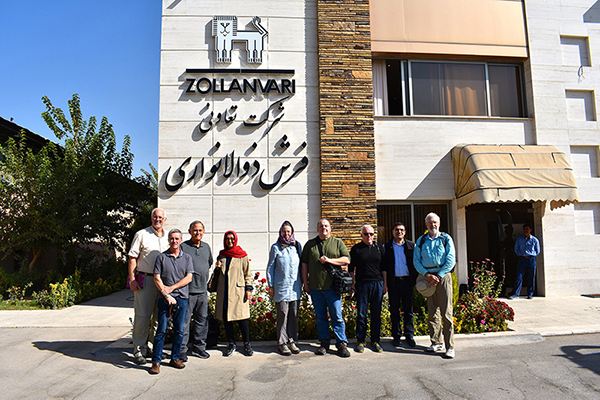 Our group met in Istanbul and then traveled together to Shiraz in southern Iran. We began our tour at the Zollanvari design and wool-dyeing facility. The Zollanvari family uses the best-grade highland wool from the Zagros Mountains. The wool is hand-carded, handspun and hand-dyed with natural vegetable dyes. 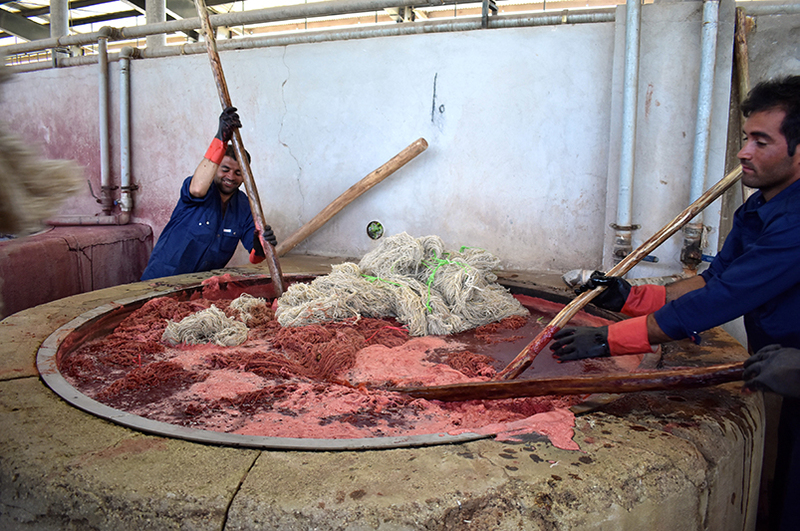 Wool dyeing only takes place in the Shiraz facility to ensure consistent color quality. Zollanvari is one of few companies that continues to use natural dyes and hand-spun yarns. The company, which also is known for popularizing the Gabbeh rug of Southern Iran, revived old weaving techniques and motifs with weaving done by tribal groups — primarily the Qashqa’i, Luri, and Afshar tribes. Once the wool is dyed, weighted and bagged, it is taken back to the tribal people for weaving. The traditional tribal groups generally know how to weave and do not need guidance. The Zollanvari brothers organized a trip for our group of four-wheel drive vehicles to reach the Qashqa’i nomads in their winter camp. We traveled north from Shiraz into the Fars Province. 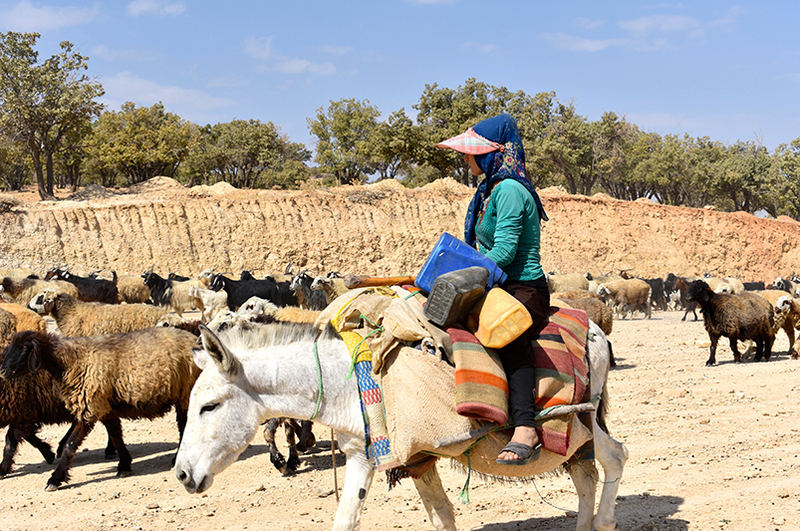 Along the way, we saw nomads driving their sheep and goats down from the mountains to winter pastures. Our group arrived at one of the many camps where the Qashqa’i were staying. It seemed a very hard life living in the elements, but that did not stop the women from wearing their best clothes — and they really like color. Tribal rugs are always woven on a horizontal loom. Once a foot or so of rug is woven it becomes a seat for the women, and, yes, it is always women who do the weaving. The men perform repairs and dyeing but not spinning of wool or weaving. Despite living in a somewhat remote part of the country, all of the women seemed to have mobile phones. Generally, the money they make weaving is theirs, which seems to account for the phones and fancy clothing. We continued to a small village where the local Zollanvari supervisor has a home. His family treated us to a lavish lunch of roasted lamb and chicken, rice (locally grown), salads, fruit and lots of tea. 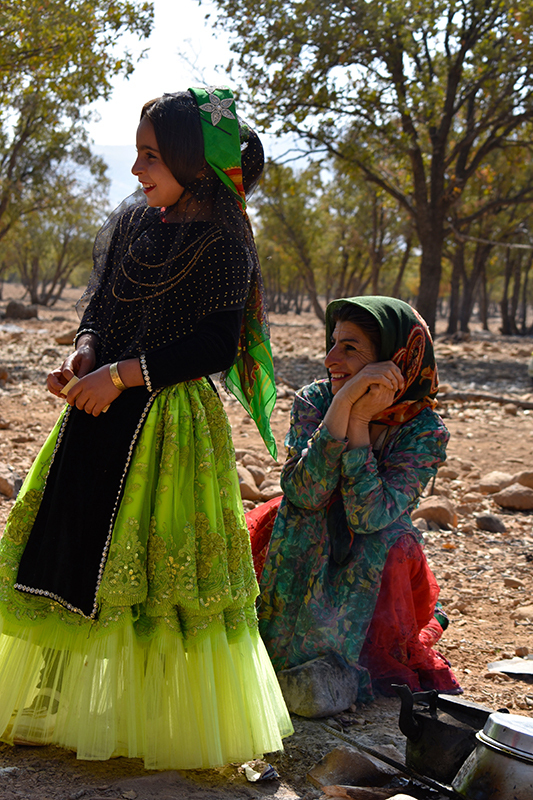 After lunch, we drove through the Zagros Mountains to a Luri tribal village to watch weaving in their region. 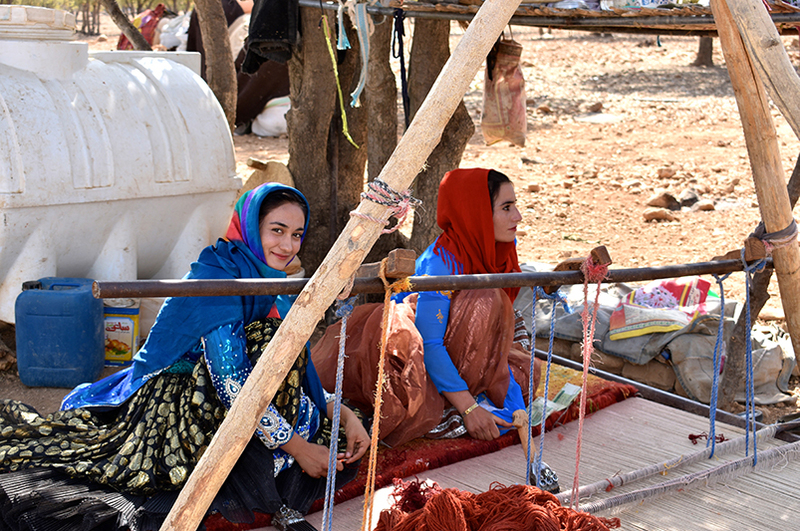 The Zollanvari Company contracts with several families to weave rugs from their dyed wool to specified patterns, though the weavers are given a certain amount of creativity in the weaving process. Most families are farmers first with rug weaving as supplemental income. Generally, the local supervisor makes visits to check on production, though, this time the owners were present. Back in Shiraz, we spent time in the bazaar looking for older rugs to take home. It was surprising that not too many deals on rugs were found. The Persians appreciate their rugs, and the prices were a bit higher than at a rug shop in Los Angeles or New York. 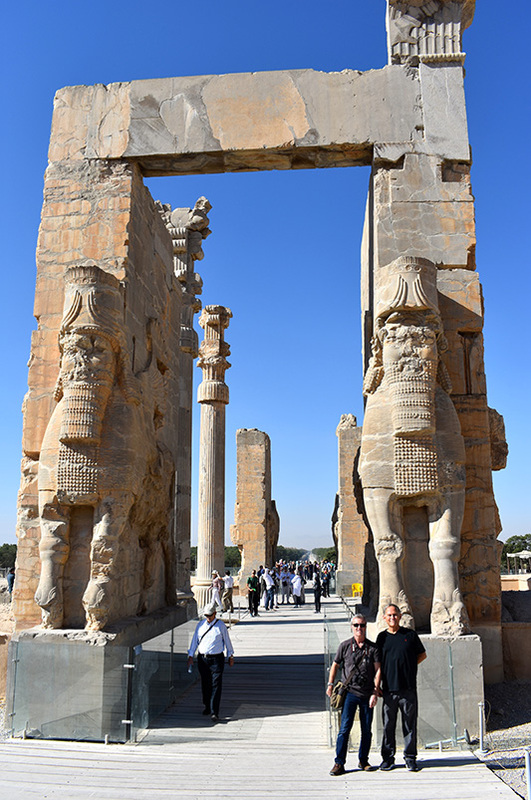 Before leaving the Shiraz area, we took a day trip to visit the ancient ruins of Persepolis, which was the ceremonial capital of the Achaemenid Empire dating back to 515 BC. After five nights in Shiraz, we departed by chartered bus with our guide and translator, visiting key rug weaving cities along a 1,000-mile journey to Tehran. Next time, we will continue the tour with stops in Sirjan, Kerman, Isfahan and the desert city of Yazd.